The Canon EOS C100 Mark II Digital HD Camera offers all of the advantages of its predecessor while adding advanced new imaging and operational features by popular demand. Optimized for one-person use and compatible with the full range of Canon EF, EF-S, and EF-mount CN-E Cinema lenses, this greatly evolved camera integrates the same Emmy®-Award winning Canon Super 35mm CMOS Sensor used in all of Canon's Cinema EOS cameras, but now replaces the Canon DIGIC DV III Image Processor with the more sophisticated Canon DIGIC DV 4 Image Processor. 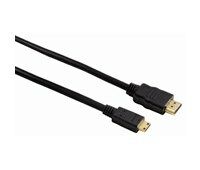 In addition to improved RGB video processing, the camera's dual codec capability supports simultaneous AVCHD and MP4 recording, including 59.94P capture along with slow and fast motion recording. Dual Pixel CMOS AF and Face AF, wireless FTP video transfer, a built-in Canon Log LUT, GPS support and support for an extensive range of workflows, are additional operational features that have been added. A re-designed 270-degree rotating 3.5-inch OLED panel, and a tiltable large-size EVF with large-size eyecup, further empower the camera operator. The compact, redesigned, lightweight body of the Canon EOS C100 Mark II Digital HD Camera has also evolved, and now includes a built-in microphone, START/STOP buttons clearly labeled in red, transparent covers on its twin SD card slots, improved battery insertion and removal, and an increased number of assignable buttons. 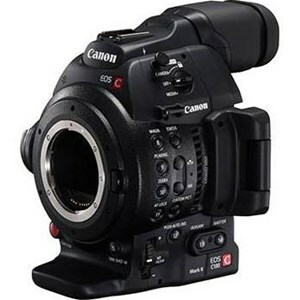 Add to this its built-in ND filters, removable rotating pistol grip, removable top handle with twin XLR inputs, built-in stereo mic, and audio controls, and the Canon EOS C100 Mark II emerges as a powerfully evolved Super 35mm Digital HD camera designed to serve your quest for greater freedom of creative expression in HD video production.